I thought these would be fun for a Valentine's Day treat. The recipe makes about 8 so it's a manageable amount that you won't have to be concerned with eating the whole batch. You could always give some to friends :). 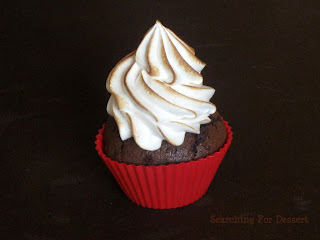 The frosting is light and fluffy just like a marshmallow with a hint of vanilla flavor so it pairs nicely with the rich chocolate cake that has an awesome thin crust on it. I'm a big fan of quick recipes and small recipes and this fits both. You actually throw all of the ingredients for the chocolate cake in the bowl together and mix it for about a minute until lighter brown and a little fluffy then portion it out into the cups. Talk about a one dish recipe :). Yes, I do what I can. 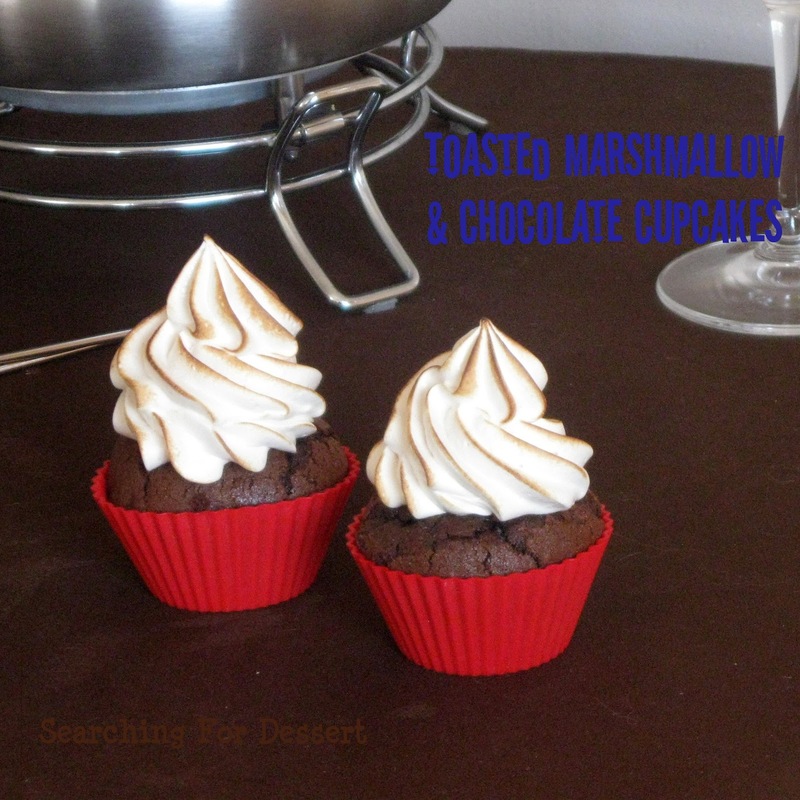 So, whip these up and have a nice dinner, maybe some cheese fondue with bread and vegetables, and of course some wine. Happy Baking! 2. Mix all cake ingredients together in a medium mixing bowl. Mix until blended then continue mixing for about 1 minute at medium speed. 3. Divide batter evenly between 7 or 8 cupcake liners (I got 7 but two over flowed a bit so 8 might be best). 4. Bake for 15-17 minutes or until a toothpick inserted in center comes out clean. Remove from pan after 5-10 minutes and cool completely on a wire rack. 5. 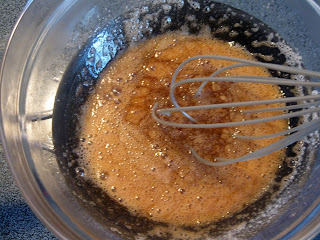 In a bowl over a double boiler whisk together egg whites and brown sugar until mixture reaches 140F, stirring constantly. 6. 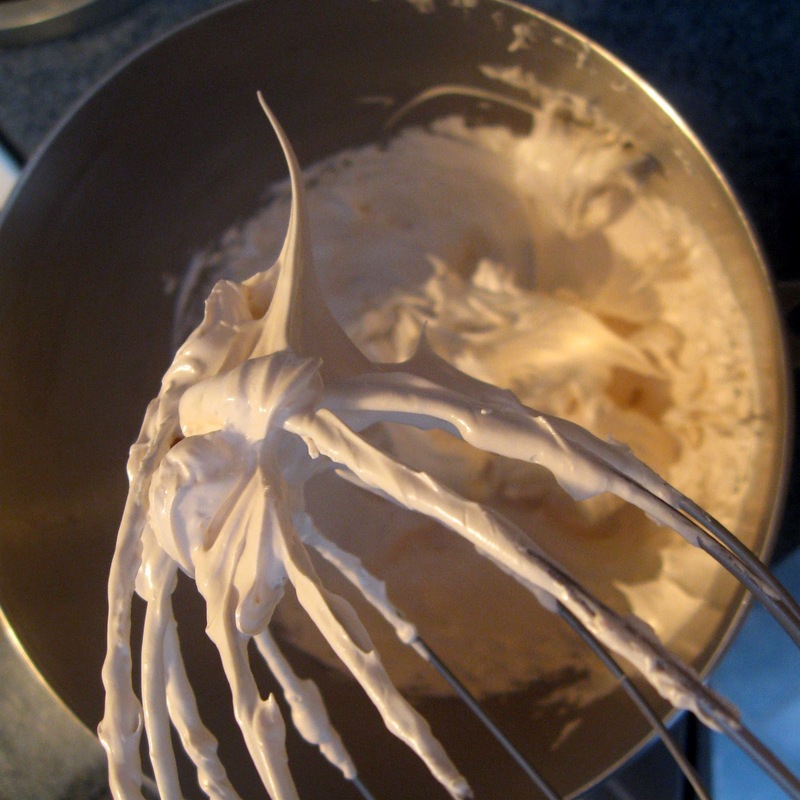 Put egg white mixture into a mixing bowl and mix on high speed 8-10 minutes or until mixture is stiff and bright. Fold in vanilla bean paste (or extract). 7. Pipe frosting on cupcakes. Keep refrigerated because of the frosting. 8. Before serving brown the frosting using a torch or under the broiler in the oven.